INSTANT REPAIRS. COUNTLESS USES. IT'S AMAZING! 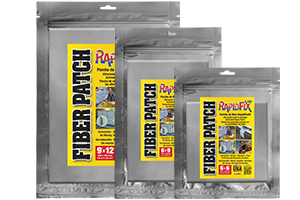 What is the RapidFix® Dual Adhesive System? 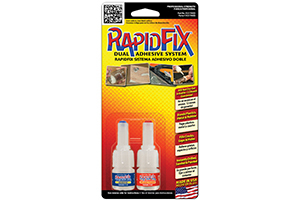 RapidFix® Dual Adhesive System INSTANTLY repairs almost ANYTHING! The dual-component adhesive system is comprised of a powerful, instant bonding adhesive and a welding powder. The Adhesive WILL NOT dry out in the bottle and is guaranteed for 12 months! The adhesive can be used alone or can be combined with the Welding Powder to fill cracks, holes and gaps. Bonds dry INSTANTLY. The repair can then be drilled, filed, sanded or ground to any shape. The combination of RapidFix Adhesive and Welding Powder can be painted or stained to match the surface around it. 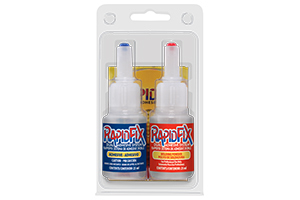 The RapidFix adhesive dries crystal clear and bonds almost anything. 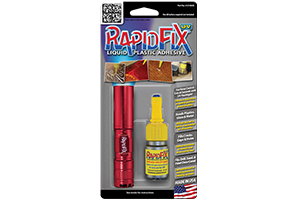 RapidFix Goes Beyond Super Glue! The RapidFix® brand of Adhesives is owned by Lighthouse for the Blind, a 501(c)3 non-profit corporation headquartered in St. Louis, MO. 100% of RapidFix® products are assembled by employees who are legally blind. Proceeds from the sale of RapidFix® adhesives contribute towards funding 16 Community Outreach Programs that provide support and resources to children and young adults who are visually impaired.